Film scholarship has a bias toward studying mainstream movies, especially Hollywood film, and ignoring minority participation. 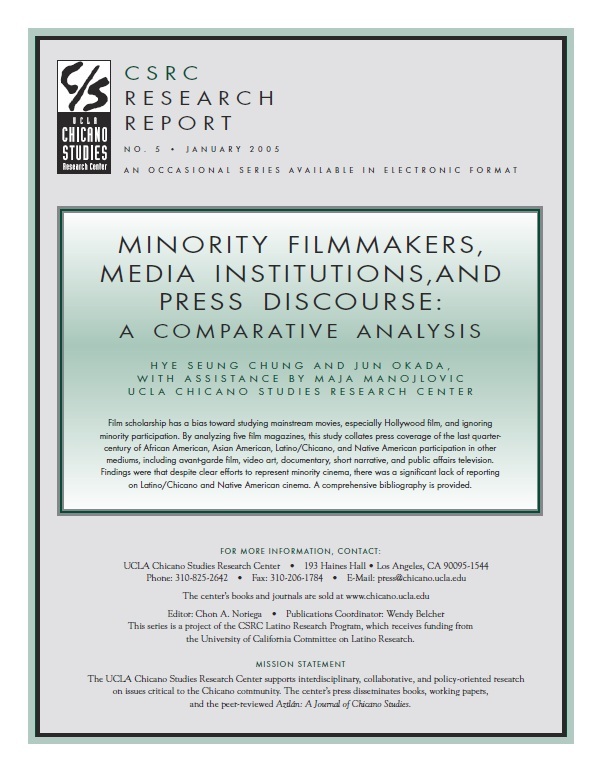 By analyzing five film magazines, this study collates press coverage of the last quarter century of African American, Asian American, Latino/Chicano, and Native American participation in other mediums, including avant-garde film, video art, documentary, short narrative, and public affairs television. Findings were that despite clear efforts to represent minority cinema, there was a significant lack of reporting on Latino/Chicano and Native American cinema. A comprehensive bibliography is provided.